Hi everyone! 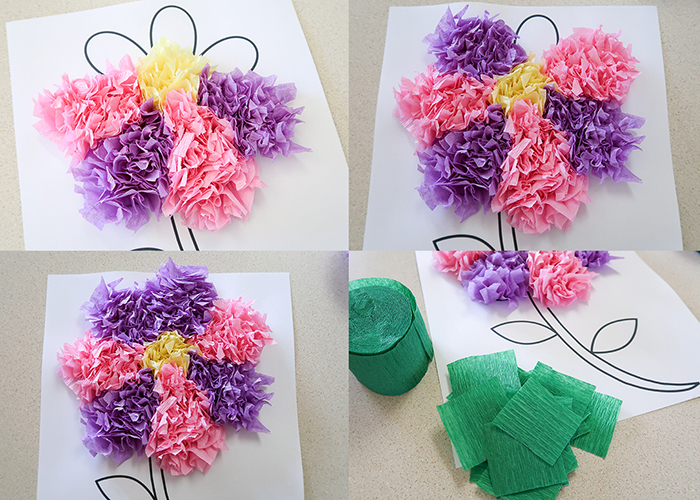 Today we’re making this Tissue Paper Flower Art Project for spring. 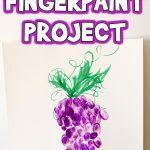 This is a great elementary age project for fine motor skills, colors, and following directions. Here’s what you’ll need! 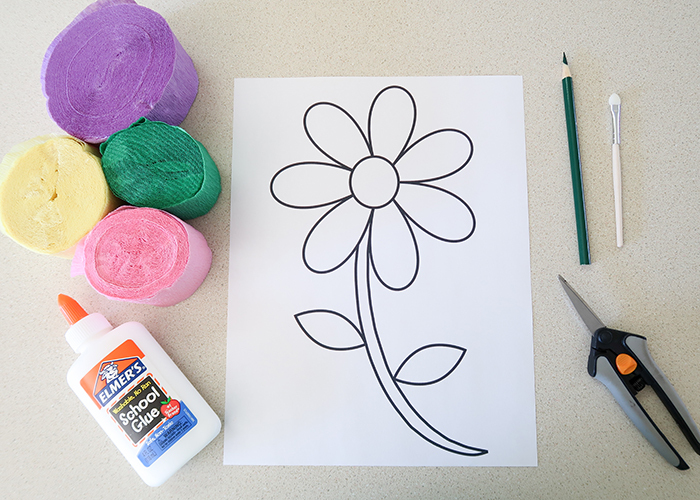 Flower template. 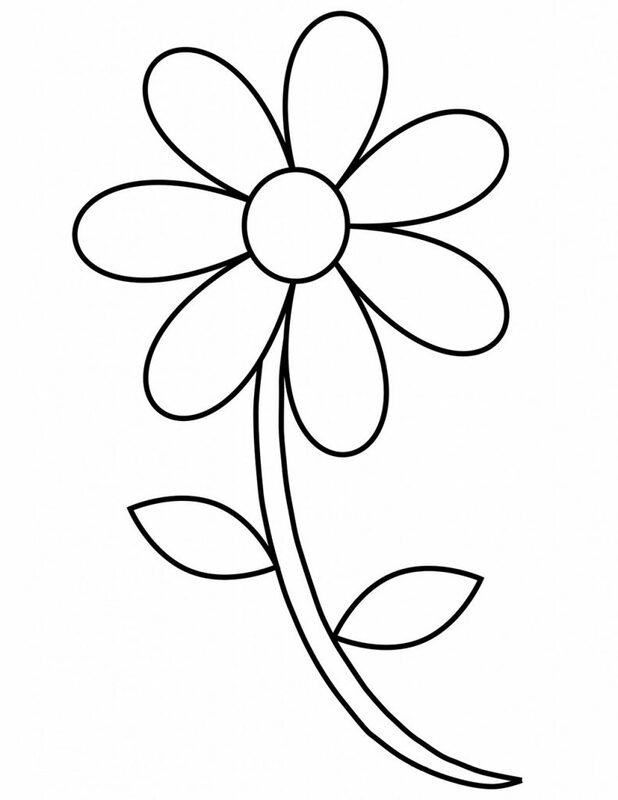 I have one at the bottom of the post for you, or you can use one from our flower template printables set. I recommend printing on card stock for sturdiness. 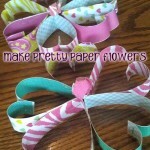 Crepe paper streamers or tissue paper. Both work amazing for this project. Something to spread the glue. I like using foam brushes. A pencil or pen with a flat end (or eraser) to wrap the paper around. We’ll be working one section at a time. 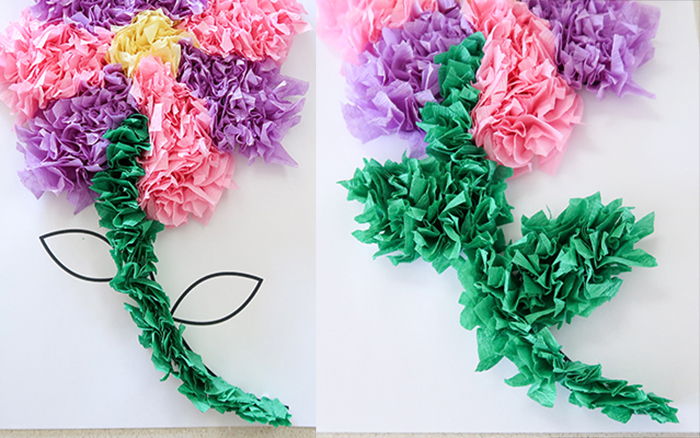 Start by cutting your streamers or tissue paper for the section you’re doing into squares about 1-2 inches big. The fluffier you want your flower, the bigger you should make your squares. 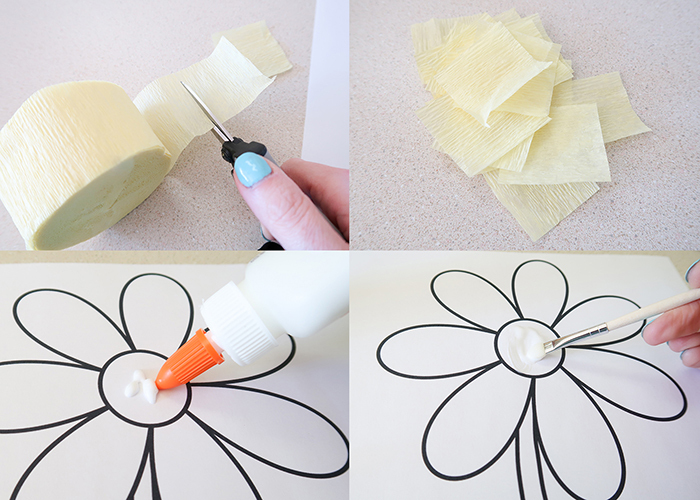 Place some glue onto the center of your flower and spread it out. Let the glue sit for about 30 seconds so it starts to get tacky. This makes it easier to place the paper. Now take your pen or pencil, place the end in the center of your paper square, and wrap the paper up around the pencil. Then use the pencil to push the paper into place on the glue, holding it for just a second before removing the pencil. Keep going, putting your paper pieces close to each other like shown, until the center is completely filled. Let each area dry completely for about 10 minutes before moving onto the next. While it’s drying, cut the squares for your next section. 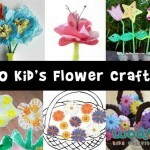 For the petals, only glue one half of the petal at a time so the glue doesn’t completely dry before you get to it. 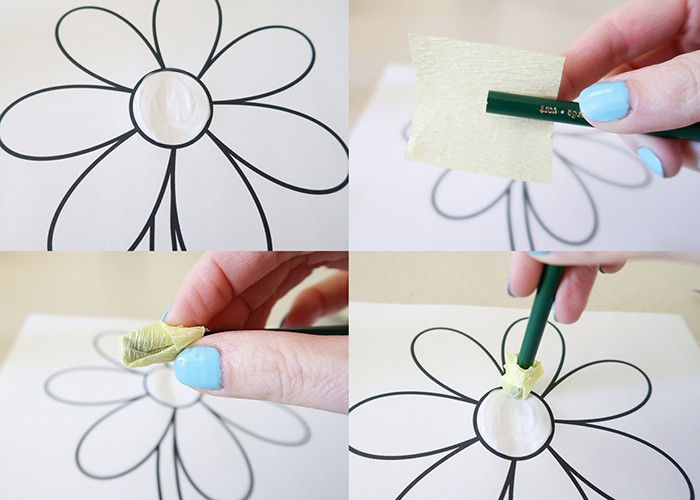 Fill in the petals the same way you did the center. See how full and fluffy it gets? I had to place two purple petals next to each other because I had 7 petals and two petal colors. 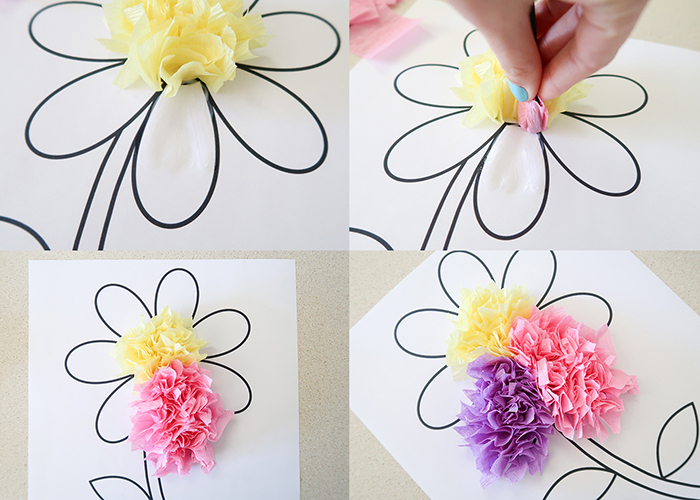 If you want to avoid this, you can make each petal a different color. 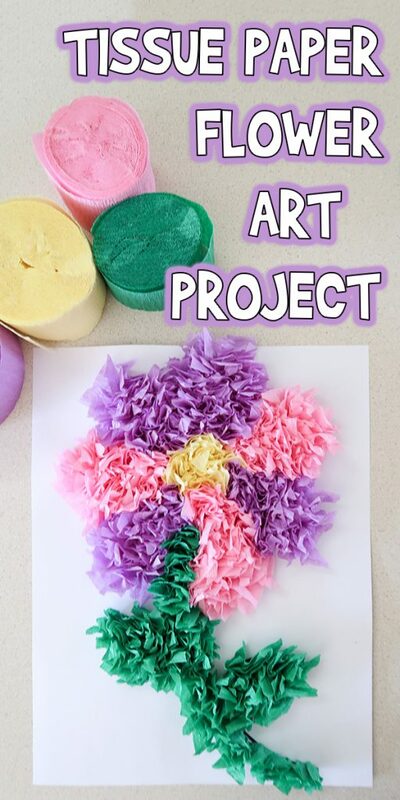 A rainbow flower would be especially pretty. 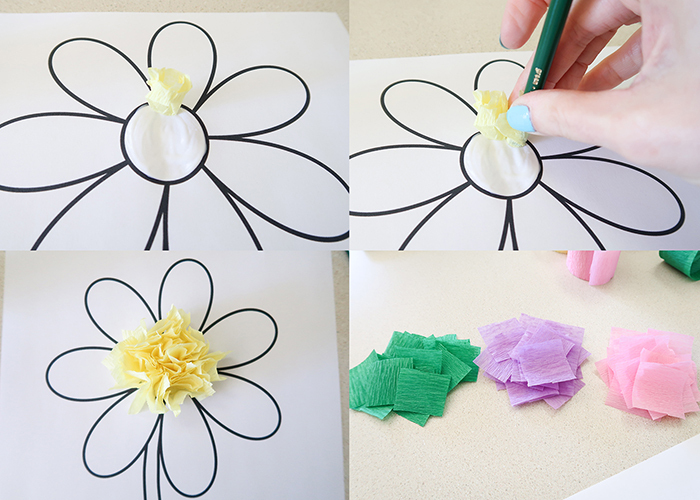 When your flower is done, go ahead and cut the squares for your stem and leaves. Getting to the top part of the stem between the petals is tricky. Don’t place the glue on the paper in this area. 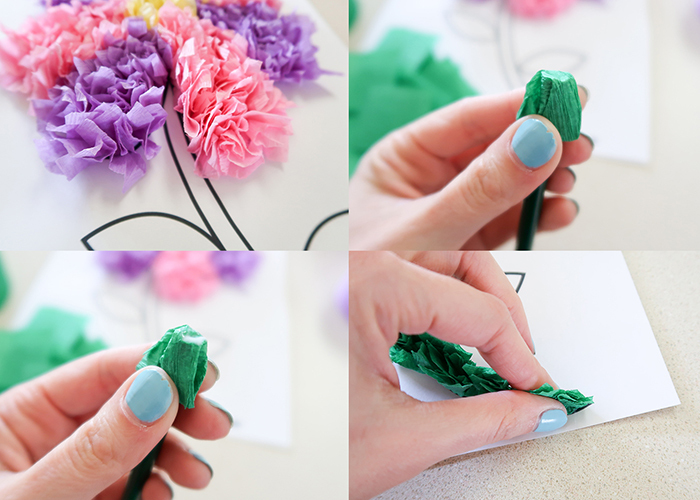 Wrap your paper around your pencil, and then place a small amount of glue on the end like shown. Then slip it into the space and push it down. The rest of the stem and leaves you can glue like normal. 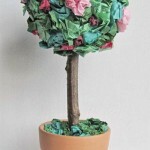 At the end of the stem, pinch your paper tightly with your fingers. This will make the end of the stem taper like the template. Now you just have to fill in your leaves. And you’re all done! 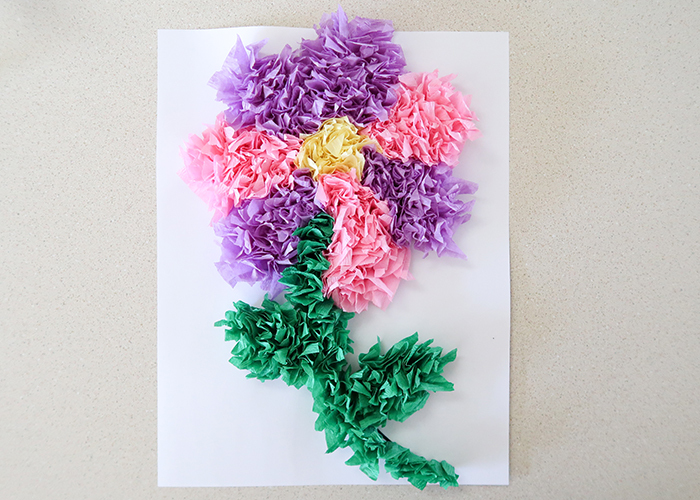 I hope you had fun learning how to make this Tissue Paper Flower Art Project! And here is your template! 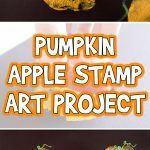 Just click on it to be taken to the page where you can print it out! 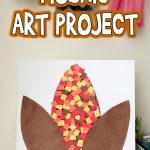 If you enjoyed this craft make sure to check out my Apple Tissue Paper Craft where you learn how to draw your own apple template!